As the United States rethinks its approach to China, it’s time to also reimagine relations with Taiwan. Before assessing the impact of this legislation on U.S.-Taiwan-China relations, we may first ask why this legislation was initiated by Congress in the first place. To find the answer, one has to go back to the days of 1979, when the United States broke diplomatic relations with the Chinese Nationalists of Chiang Kai-shek – then headed by his son Chiang Ching-kuo – who at the time still claimed to represent China. The informal relations between the United States and Taiwan are governed by the Taiwan Relations Act, passed by Congress in April 1979. But as part of the deal, the United States also imposed a number of unwritten rules and regulations on the relationship, one of which was that the five top officials of Taiwan – president, vice president, prime minister, foreign minister, and defense minister – could not come to Washington, and that higher level U.S. officials could not meet with their Taiwan counterparts. These and other self-imposed regulations – such as the United States not referring to Taiwan as a country, and not having U.S. officials attend Taiwan’s October 10th National Day celebration — were perpetuated in spite of the fact that in the late-1980s and early-1990s, Taiwan went through its momentous transition to democracy. Taiwan is now by all accounts considered a most vibrant and free democracy. During the past decade, leading members of the U.S. Congress, such as Representatives Steve Chabot (R-OH), Brad Sherman (D-CA), and the chairman of the House Foreign Affairs Committee, Ed Royce (R-CA), along with Senators Marco Rubio (R-FL) and Sherrod Brown (D-OH), have increasingly argued that these guidelines were outdated, that the United States should treat Taiwan like any other country and move toward normalization of relations with Taiwan. This all came together on January 13, 2017, when the Taiwan Travel Act was introduced in the House. (The companion bill was introduced on May 4 2017 in the Senate.) In the subsequent months, the legislation moved through the committees and gained bipartisan support. It passed the House on January 9, 2018, and the Senate on February 28. 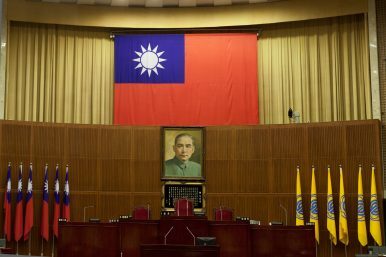 (a) SENSE OF CONGRESS.—It is the sense of Congress that the United States Government should not place any restrictions on the travel of officials at any level of the United States Government to Taiwan to meet their Taiwanese counterparts or on the travel of high-level officials of Taiwan to enter the United States to meet with officials of the United States. (3) to encourage the Taipei Economic and Cultural Representative Office, and any other instrumentality established by Taiwan, to conduct business in the United States, including activities that involve participation by Members of Congress, officials of Federal, State, or local governments of the United States, or any high-level official of Taiwan. An extremely important aspect of the passage of the legislation was that in both House and Senate it was passed unanimously, signifying the broadest possible bipartisan support. In these tumultuous and polarized days in Washington, it is very rare to have such unanimous support on any issue. In view of this broad support, it was virtually impossible for President Trump not to sign the legislation, which he did on March 16. The question now is how the U.S. administration will implement the legislation. Some observers and some in the U.S. government choose to emphasize that the legislation is not binding, and that in any case, the U.S. president already has the power to meet with foreign officials – or not. These arguments miss the main point of the legislation, which is that U.S. policy toward Taiwan is seriously outdated, as it still reflects the fundamentals and the mindset of the 1970s, when there were two regimes claiming to represent all of China. Taiwan’s democratization in the 1990s represented a very new situation on the ground; it is now a democracy and doesn’t claim to represent the whole of China anymore. This change should thus have brought about a fundamental shift of Western policy toward Taiwan. But unfortunately it coincided with the economic opening and rise of China; tempted by the lure of China’s market, the West remained stuck in the trajectory of “engaging” China at the expense of better relations with a new and democratic Taiwan. Nearly half a century since Nixon’s first steps toward rapprochement, the record is increasingly clear that Washington once again put too much faith in its power to shape China’s trajectory…. Neither carrots nor sticks have swayed China as predicted. Diplomatic and commercial engagement have not brought political and economic openness. …. China has instead pursued its own course, belying a range of American expectations in the process. That reality warrants a clear-eyed rethinking of the United States’ approach to China. Likewise, the Economist recently argued that since Nixon’s opening to China, the West had hoped that diplomatic and commercial engagement would bring political and economic openness, but that the gamble has failed. Against the background of this very necessary rethink of the United States’ China policy, it is essential that Washington – and Western Europe – also do a fundamental rebalancing in their policy toward Taiwan, and invest in strengthening relations with a strategic beacon of democracy in the region as a purpose in its own right. In this new and democratic Taiwan there is a growing sense that Taiwan’s international isolation should be a thing of the anachronistic past, and that Taipei and the global community should work toward normalization of relations with Taiwan. President Trump’s signing of the Taiwan Travel Act is a much-needed step in the right direction. Gerrit van der Wees is a former Dutch diplomat, who also served as editor of Taiwan Communique from 1980 through 2016. He currently teaches history of Taiwan at George Mason University in Virginia.